Probably a copy of a copy. 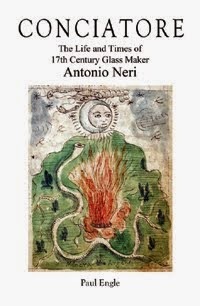 By the arrival of Antonio Neri's book on glassmaking in the early seventeenth century, the innovation of printing had already spread throughout Europe. For the first time, presses in major cities made texts of many kinds available to the masses at reasonable prices. In this era, there was no resolute body of science to explain the enigmas of nature. In an age brimming with unanswered questions, the prospect of unlocking nature’s secrets proved a powerful attraction indeed. On the other end of the spectrum, careful, thought-out works such as Paracelsus' Great Surgery Book  vied for the attention of more sophisticated readers. He became controversial for challenging the establishment with iconoclastic ideas about medicine and science. Paracelsus was a one-time physician to miners  and sought to push medicine beyond the entrenched traditions of Galen and Hippocrates. He based his ideas more on experimentation and the observation of nature, less on supposition and dogma. Charles Webster feels is more accurate. 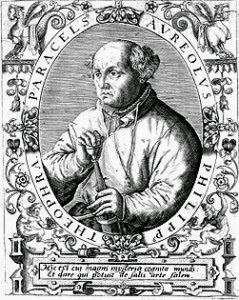 Paracelsus' books were a powerful influence on Neri. A university-trained Swiss physician, Paracelsus took a degree in medicine in Italy at Ferrara in 1515. He led a revolution in thinking about medicinal cures and pioneered two new disciplines that he named "iatrochemistry" and "spagyrics." Iatrochemistry dealt with the use of minerals and chemicals in medicine; spagyrics made use of plants and their extracts. In his lifetime, Paracelsus' ideas and methods earned the derision of colleagues who clung to tradition. His detractors forced him to move often, never more than a few steps ahead of trouble. At the end of the century, after his death, a revival of interest saw his writings published in many editions and languages. By the time Antonio Neri's book appeared, the priest counted himself a devoted Paracelsian spagyricist. In his introduction, he holds out the future possibility of publishing “the experience of my endeavors over many years, working in diverse parts of the world […in] the chemical and spagyric arts.”  Given his father’s position as royal physician, Neri’s inclination toward medicine is not surprising. The same techniques and terminology used to produce remedies shows up in his glass formulations. Twice, he refers to ingredients as "medicine,"  which he adds to the glass melt in "doses." He also uses the somewhat specialized apothecary's term ana,  which means "in equal parts." Neri’s philosophy is clear, he considers himself an alchemist and his art—the art of chemistry—embraces metallurgy, glassmaking and medicine. Montebanco; one who stand on a box or stage. Also called charlatans (ciarlatani), which means to chatter. Paracelsus (1493–1541), also Phillip von Hohenheim, Philippus Theophrastus Aureolus Bombastus von Hohenheim. See Paracelsus 1536; cf. Webster 2008, p. 17. Webster 2008, p. 9, 148. Neri 1612, pp. 40, 104, medicina; p. 9, dose and throughout. Opus Paragranum, written in 1529/30 not published until 1565. Cf. Paracelsus 1565. Neri 1980, pp. xlii–xliii, lix. In his letters, Ximenes is careful about references to Paracelsus. Neri 1608; Zecchin 1987–89, p. 157. “… che già stava in casa il s.r. Zanobi Bartolini, che mostra gl’ effetti di mali da lui guariti secondo gli ordini Paracelsici di grandissima meraviglia…” [that previously when in the house s.r. Zanobi Bartolini showed the effects on sicknesses that he healed using the instructions of the great and marvelous Paracelsus ....]. Discorso sopra la Chimica, che cosa sia, e sue Operazioni, Neri 1613. For the original Italian, see Grazzini 2012.